Stay on top of your 808 game with Glitchedtone’s new pack Serum 808. 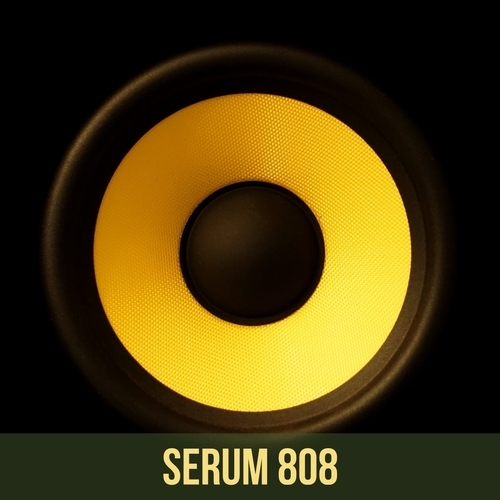 Serum 808 contains 25 versatile presets for Serum ranging from smooth sub tones to hard, distorted floor-shakers. Inspired by Trap producers and artists such as Metro Boomin, Murda Beatz, Nick Mira, Migos, Lil Pump, Ghostmane, Juice Wrld and Trippie Redd, this pack is the one to reach for when you need some fresh bounce and in-your-face bass for your beats! Each preset fully utilizes Serum’s macro controls for further tweaking and sound sculpting, giving potential to go way beyond the 25 presets into hundreds of variations. Also included are loops, oneshots and MIDI patterns to serve as inspiration, whether using them as they are or further shaping them to suit your needs. 114 MIDI patterns covering 808s, melodies, kicks, snares, claps and hats.